RIO was a new department that focused on creative ways to improve operations processes. The new team’s office area is a dark corner with no windows. 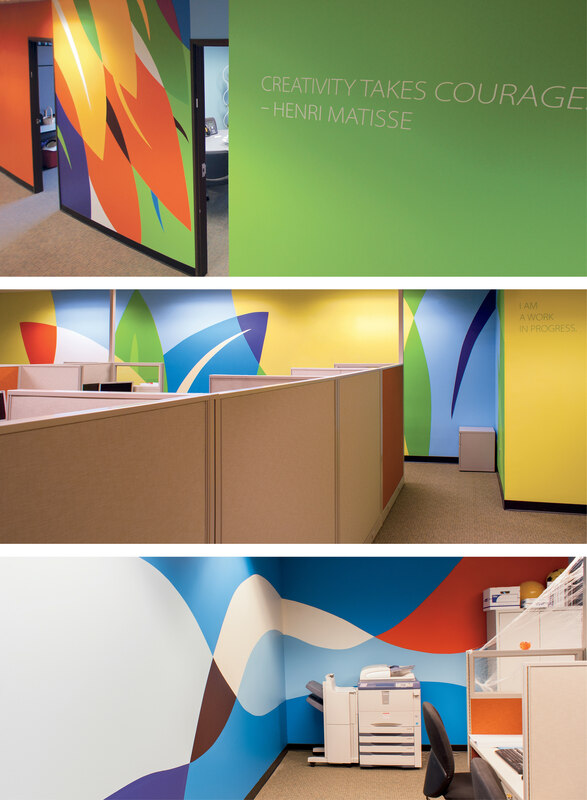 I created wall graphics that would bring light, energy, and inspire the team to think creatively. The client asked for graphics inspired by Rio de Janeiro, it was a pun with their department’s acronym. I gave it an abstract spin. A muralist painted the artwork directly on the wall and the quotes were vinyl letters.